Born and raised in Jacksonville, Carlton has 15 years experience as Marine Chevrolet’s wrecker operator. His past work experience includes towing, repossessing cars, working in his family’s automotive business and six years driving for a dairy company. He loves the car business and enjoys the close family-like relationships that he has developed with coworkers, who he says are like family. 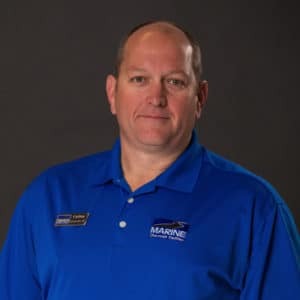 Carlton’s knowledge, experience and around-the-clock willingness to help anybody are what make Carlton such a valuable employee here at Marine Chevy!